BTW, I see somebody hacked an ad into the site. The same thing was done a few years ago by some website selling fake watches. Seems the Borough’s website should be more secure against this. This was written by admin. Posted on Wednesday, February 13, 2019, at 8:52 am. Filed under Uncategorized. Bookmark the permalink. Follow comments here with the RSS feed. Post a comment or leave a trackback. The website is a joke. It is not easy to navigate. Never had an IT guy/girl? Wasn’t it that DNA is John Bonevich? Some may remember back in October the Belmar Better Angels presentation of our concerns and recommendations about the borough website. Since we have a new administration BBA sent that presentation to our new Mayor council and BA. We ( the website research sub group of BBA) has since met with Councilman Tom Carvelli. He has volunteered and been tasked with finding a new website company. Cost, Belmar’s present company is very exspensive compared to neighboring towns. Design company focus: municipality focused. Present company more marketing focused. Present contract with Your Target Marketing. 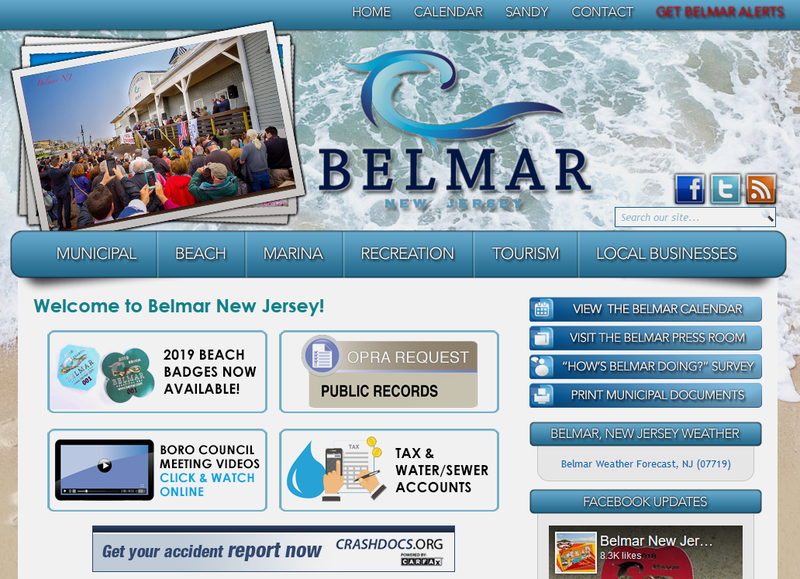 Belmar Better Angels looks forward to working with Councilman Carvelli and this administration in helping to bring a much needed overhaul of Belmar’s website. Make the minutes archives searchable. I would be nervous about paying Borough bills online. Is my account number safe? Could someone outside look up my payment history? Admin. We talked about searchable archives. Tom seems to understand the need of that quite well. He is very interested in a collaborative effort and transparency. And Elemental. No one would have to pay anything on line. It would be a choice. The need for security is very important though, that’s for sure. Trina you’re a Czarina in so many ways. Thank you sweetheart. I think I just made a funny: Trina Czarina. The good news for the day is Anthony Weiner has been released from prison. Thank the Lord. Rename 5th Avenue Pavilion: Soprano State Pavilion, courtesy of Nicolay, Brennan, McGovern,Doherty and Connolly.